Sometimes I forget that there are other desserts to make besides cake. I made this recipe for Banana Caramel Pudding and realized I need to branch out sometimes. 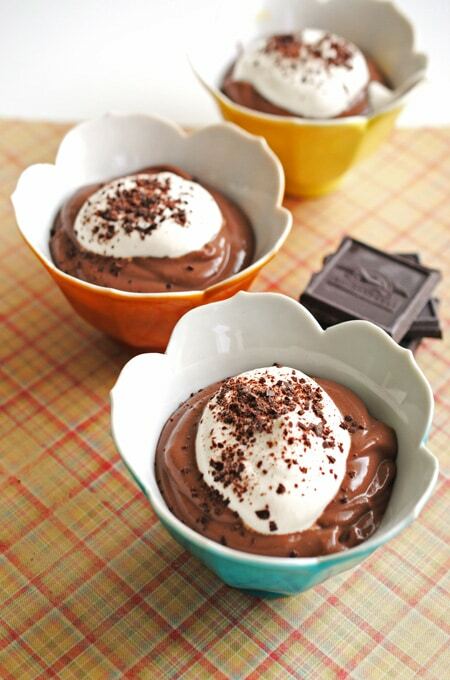 Plus this pudding is really easy to make and comes together in just about 3 hours total! Including chill time! Not to mention it’s incredibly rich, silky and smooth! And is the perfect “something sweet” to end your lunch or dinner with. 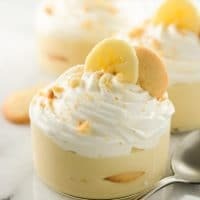 If you want to take this Banana Caramel Pudding up a notch, be sure to checkout this recipe for Homemade Vanilla Wafers! You’re making homemade pudding you might as well make homemade cookies as well. Homemade Caramel Pudding, Homemade Vanilla Wafers and to top it all off with…you guessed it Homemade Whipped Cream. All of which are simple to make. 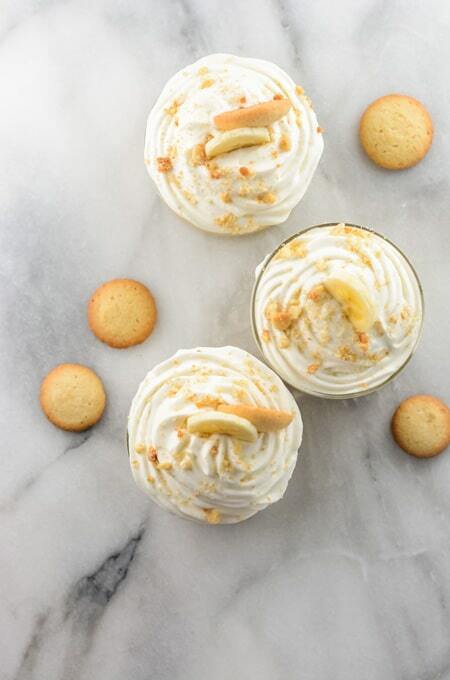 I also crumbled a few cookies for garnish along with the banana slice and whipped cream. Make someone feel special by making this old diner classic Banana Caramel Pudding completely from scratch! Check out The Cake Chica on social media: Facebook, Instagram, Twitter and Pinterest. Homemade Banana Caramel Pudding, topped with whipped cream and garnished with a made-from-scratch Vanilla Wafer and a fresh banana slice. In a medium saucepan, stir together the sugar and water and cook until sugar dissolves. Increase the heat to high and without stirring, cook the mixture until it turns a golden amber color. Remove from the heat and carefully add a few tablespoons of the heavy cream, then gradually add the remaining cream. The mixture will bubble up. In a small bowl, whisk together the cornstarch and ¼ cup of the milk until smooth. Whisk together the cornstarch mixture and the remaining milk into the caramel mixture in the saucepan. Stir in the salt. Place over medium heat and cook, whisking constantly until the mixture comes to a boil. Any caramel bits will dissolve and the mixture comes to a boil. Remove from the heat. In a medium bowl whisk the egg yolks until smooth. Whisk about 1 cup of the hot caramel mixture into the yolks. Return this mixture to the saucepan and cook over medium heat, whisking constantly until the mixture comes to a boil. Continue to boil while whisking for 1 minute. Immediately remove the pan from the heat and whisk in the butter until completely melted. 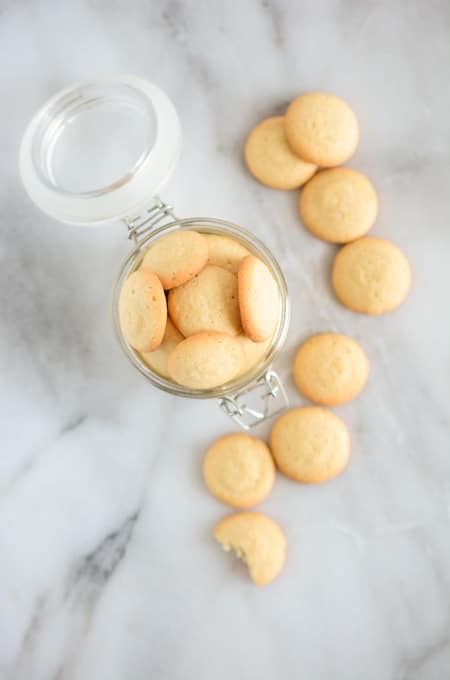 Whisk in the vanilla extract and strain the mixture through a fine-mesh sieve into a medium bowl. Peel the banana and cut into 20 thin slices. 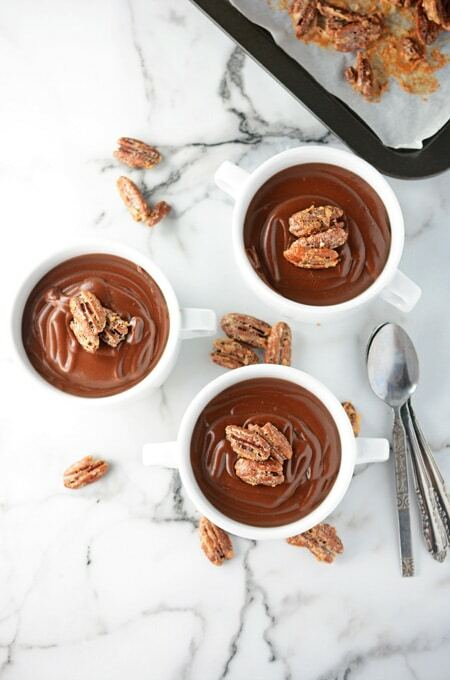 Spoon about ¼ cup of the pudding into each of four 6-ounce ramekins or custard cups. 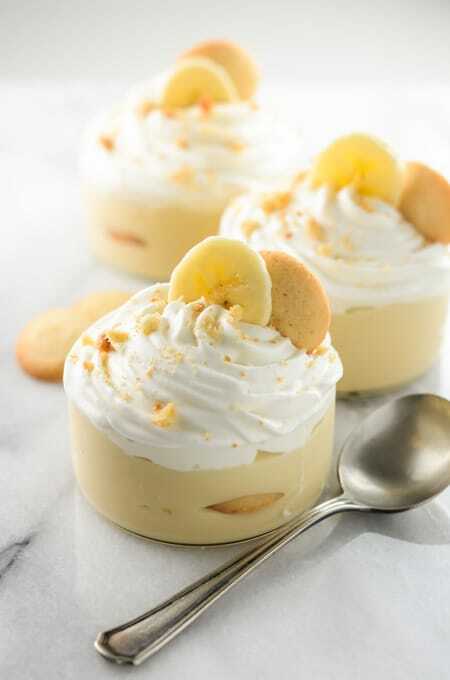 Top each pudding layer with 5 banana slices and 3 vanilla wafers. Spoon the remaining pudding over the wafers, dividing it equally among the ramekins. Cover the puddings with plastic wrap on top of the pudding surface or a skin will develop on the pudding. Refrigerate for about 2 hours or until well chilled. Just before serving, peel and slice a small banana. 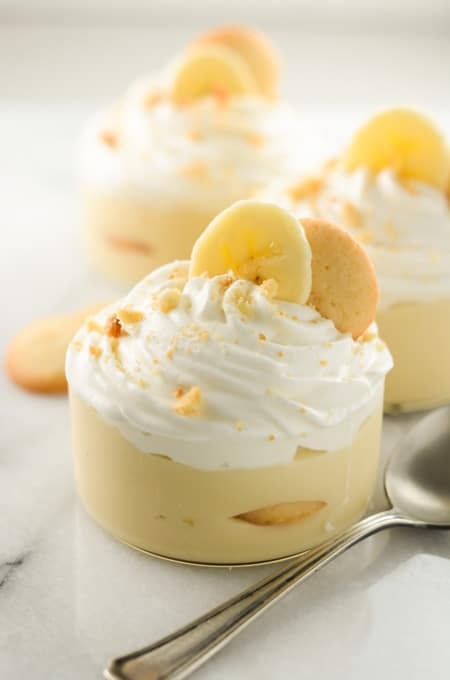 Garnish each pudding with a generous spoonful of Homemade Whipped Cream, a few banana slices and a Homemade Vanilla Wafer. Store in the refrigerator covered up to 3 days. Thank you for your kind words Albert!!! There are so many recipes and I see this ……….. So easy to overlook,,,,a diner classic. It is so beautifully put together and I felt like I was there as I read through the technique. It’s a real beauty of a recipe…..thank you..